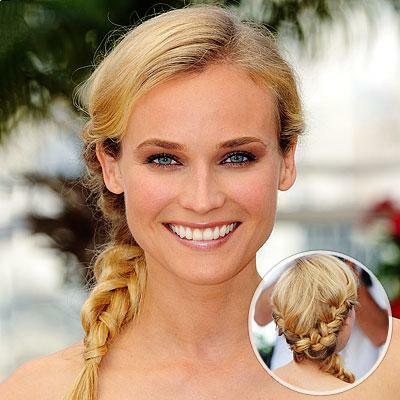 Apparently, the trendy hairstyle for brides and red carpet walkers is a natural updo—a loose bun or braid that looks as though the bride may have done it herself. All the hairdressers I talk to try to convince me to wear my hair up for my wedding. One suggested I look up photos of Taylor Swift at the 2009 CMT Awards. Taylor, of course, looked gorgeous and I love her hairstyle, but I want to wear my hair down! For the past two days, I’ve been obsessively Googling photos of hairstyles for weddings, celebrity hairstyles, red carpet hairstyles, partial updo’s. I'm positive Mr. Cathedral Heights is tired of me making him pause his video game to look at yet another example of how I want my hair to look for our wedding. I value stylists’ advice and I can see what they mean when they explain that it’s better not to take away from the dress and jewelry. But then they add that I need to look like myself at my wedding, and that it’s best not to do anything drastically different from your norm, as years down the road you may look at your wedding photos and wonder, “who’s the chick in the Princess Leia bun?” only to realize you’re staring at your own face. And, since I wear my hair down mostly, doesn’t that mean it should be mostly down for my wedding? I think the way to handle this is to find as many photos as possible that convey the hairstyle I’m imagining, bring those to the stylist for a trial run, and insist on seeing my hair the way I want it, no matter how much they push back. That way at least I can get the full picture. If I agree that it’s not the right look, I’ll let them try a loose side bun, but if I love it, I’m going to go with my instinct on this one. There have been other choices that I’ve let others weigh in on more heavily, but this time I’m sticking to my guns! My dress is very elegant, fitted throughout the body and then it goes out a bit around the thigh. The neckline is straight across the chest, like a strapless gown, but with thin lace straps. I imagine my hair worn down, in loose curls, parted on one side, with either one or both sides pulled back a bit and clipped, with a flower towards the back. 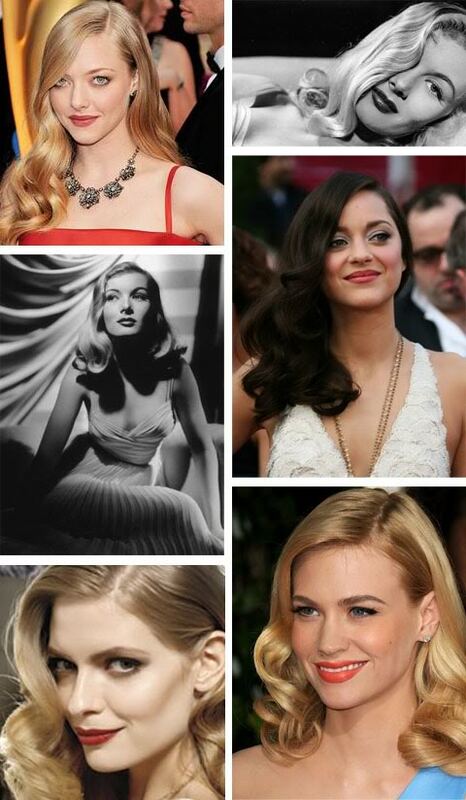 Veronica Lake with a flower? Here are some photos that almost depict what I want. PS I am enjoying following your blog and would love if you could follow mine too. I am a brand new blogger. They should at least try what you want - it's your wedding after all! 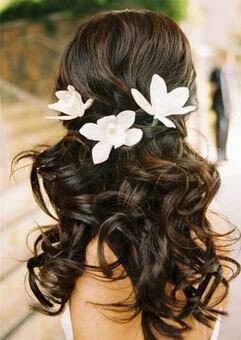 I love the dark curls with the flowers, it's really pretty and would show off the pretty lace straps on your dress. I love the first style you shared, it's really pretty, and without going the complete, full-on bridezilla, just share with them that it's YOUR DAY AND YOU'LL DO WHAT YOU WANT. Kidding. I'm sure you'll look beautiful darling! I def suggest doing what you want for your wedding day. I own Belle Soeur Styles, an on-site hair and makeup company serving the D.C. metro area. As an experienced hair stylist I stand by what you are saying, you will have to wear this hair not me. You should like it. Sometimes I suggest to brides to wear their hair down for the ceremony with the option to put it up later at the reception. I usually will show the MOH how to take the brides hair and twist it up to look soft and loose. Just so that the brides hair continues to look fresh after all the drinks & dancing. Anyhow, it is my professional opinion that you should stand your ground and have your hair how you want. It is your wedding day. If you would like to check us out our web address is www.bellesoeur.webs.com. Congrats & happy planning! Ceremony Backdrop: Graves or Port-O-Potties? Wish Upon a Wedding and Get Married Join Up! Six months ‘til the wedding and LAID OFF? Here I Come, Big Apple!